They were so keen to ride, it was crazy to see! They hadn’t rode for two days so as a I stepped up they were trying to rip the sledge from the ground (it was pegged down)…such fun though, and the dogs are well natured for the most part! That would be a once in a lifetime opportunity. What fun it looks like! What a beautiful sled dogs. Wow! Gorgeous dogs… what an experience! I knew this was Finland before I even saw the caption. This is my homeland. It’s something about the snow and the “Don’t even THINK about making small talk with me” vibe that the dog on the left is exuding. I want to do this ..love it, thanks! Gorgeous photo! We have done dogsledding and loved it. They are beautiful dogs. This must be a fun experience. Lucky you! I love huskies!!! I have a 5 year old female named Akira! Love her to pieces! Okay. I’ll be honest. I’m really trying not to be envious of your incredible experience. This awesome photo you shared is helping me cope. Thanks. And thanks also for liking my post! 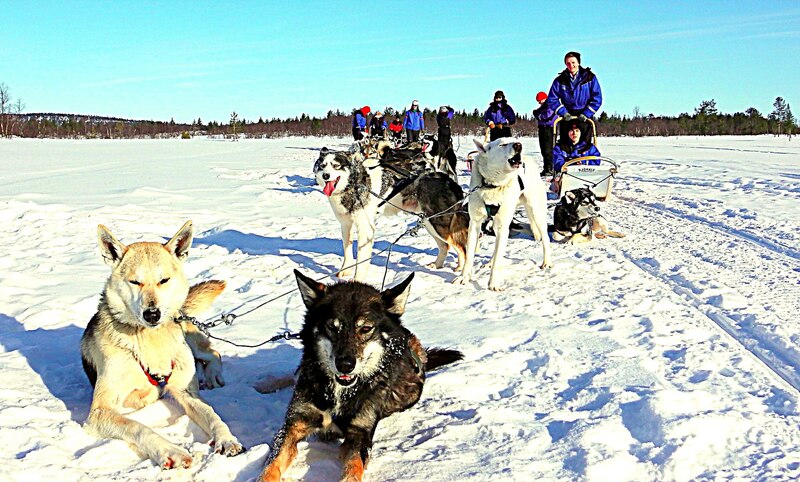 Your site is great…keep writing…and dog-sledding. Grrr. I was trying to reblog this pic but it looks like WordPress won’t allow. It’s a great photo of dogs! OoOoOOoohhhhh……. I want to do that. Just with Pitt Bulls though, not Huskies. . I own two and I have learned how strong they are. Full frontal scabs and some serious loss of dignity. My dog looks like the lead on the right….party dogs for sure! Looks like a great time.